Mystic offers cGMP clinical supply manufacturing including device manufacturing, drug compounding, sterilization filtration, aseptic form/fill/seal (FFS) blister production, packaging and labeling. 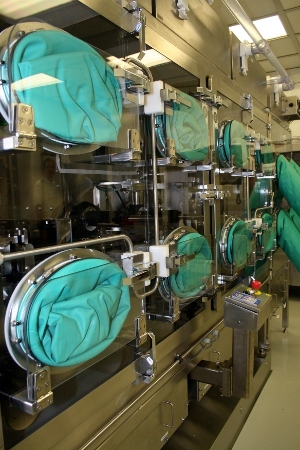 Our pilot facility is capable of producing up to 100,000 sterile or non-sterile unit dose packages per lot, and can scale down to as little as hundreds of doses. Additionally, Mystic provides technical support for client regulatory filings for investigational new drugs. Mystic’s processes and analytical methods are well documented and appropriate validation documentation is incorporated into the clinical project to ensure compliance with applicable regulations.